As a prospective or a new customer, you may wonder if there are white-labeling options available within FixMe.IT. The answer is yes! We understand that many businesses must follow strict guidelines in terms of company style when it comes to deploying a third-party solution. 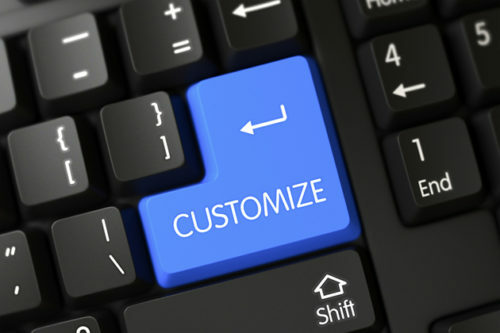 Alternatively, some of you may simply want to establish brand recognition and avoid possible confusion among customers. With that in mind, we made it very easy for you to integrate our remote desktop tool into your website, or brand the entire client application if needed. Here are some of the key branding options available within FixMe.IT. Client box is used as the primary tool for interaction with the support technician. Although initially the client app is introduced in its default style, you can easily change all of its sections including the logo, captions, prompts and the main area, or even adjust the appearance properties of the client ID box – all with the help of simple HTML/CSS. Besides having the option to brand the client box, you may also choose to fully integrate the client support page into your website. This will allow for complete and personalized customer support experience, as your clients will always be able to access FixMe.IT directly from your company’s website. Ready to brand the client app and integrate FixMe.IT into your website? See the full 15-page customization guide that will get you through the complete process of branding the application. Follow us on Facebook or Twitter, join us on LinkedIn, and subscribe to our official YouTube channel to get all the latest news and updates as they happen!